Quinoa is a fantastic alternative to pasta and rice. Cook it like rice, but don't worry if the liquid is left in the pan when it's done. Quinoa will soak up the extra liquid in the pan. Heat a medium saucepan over medium-high heat. Pour in the coconut milk and water. Bring to a boil. Add quinoa, stirring well. Reduce heat to low, cover and cook about 15 minutes or until liquid is almost gone and quinoa is tender. Remove from heat and allow to sit about 10 minutes. 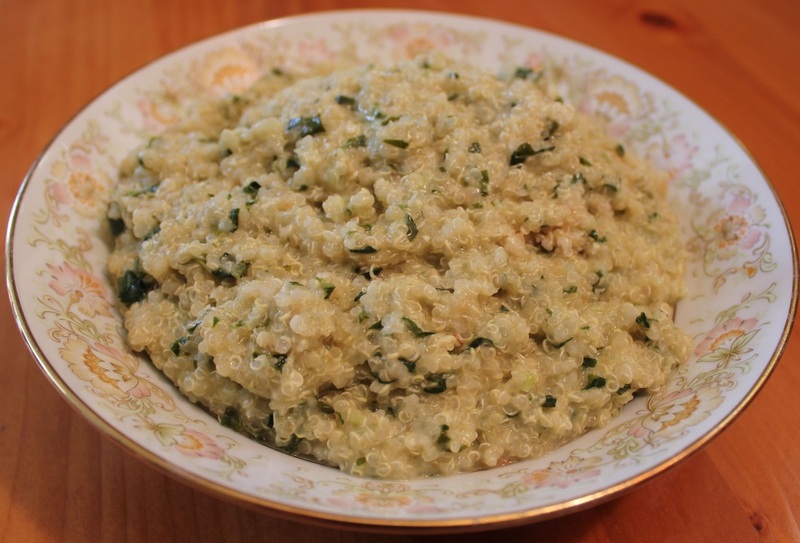 While quinoa is cooking, combine garlic, basil and lemon juice in a food processor. Slowly add the oil, pulsing to combine well. Combine quinoa and pesto, serve warm.